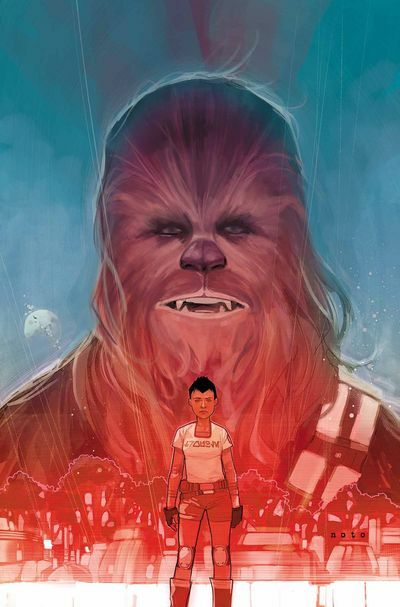 Known as the skilled co-pilot of the infamous Millennium Falcon, the legendary Wookiee warrior CHEWBACCA will star in his very own limited comic series! After the battle of Yavin, Chewbacca is on his own when he crash lands his ship on an Imperial occupied planet. Legal Notice: Entire contents trademarked (® or TM) and copyrighted (©) 1986-2019 by Things From Another World, Inc. and respective copyright and trademark holders. All rights reserved. Page rendered at 2019-04-25 19:00:30 in 0.184 seconds.